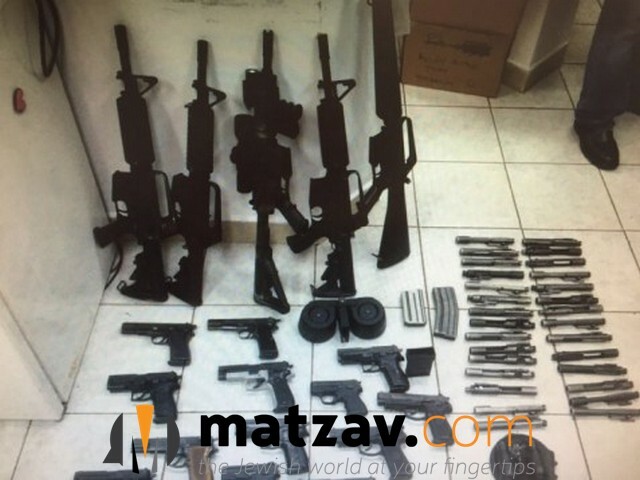 The Israel Police and IDF Spokesperson announced on Wednesday that security forces thwarted a large arms smuggling attempt last night and apprehended two Palestinian Authority smugglers. “Not only did the successful operation prevent a large quantity of weapons from reaching the hands of criminal and terrorists, it also permanently severed that smuggling route and prevented any future attempts,” stated a Northern District Police spokesperson. The intelligence about the smuggling operation was acquired after an undercover investigation was conducted by the Israel Police and the Shin Bet (Israel Security Agency). According to the police, the two Arab suspects, residents of Jericho, operated an arms smuggling route that ran from Jordan to Judea and Samaria through the Jordan Valley. 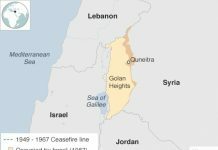 They worked as security guards at a plantation south of the Israeli city of Beit She’an and used the proximity of the plantations to the Israel-Jordan border fence to operate the smuggling route. “An IDF light-infantry brigade with the help of the Shin Bet and the Israel Police seized 20 nine- millimeter handguns, five M-16 assault rifles, various parts for automatic weapons, and optical equipment,” stated an IDF spokesperson. According to the police spokesperson, the two suspects also attempted to smuggle ammunition, laser and telescopic sights for rifles, and various parts used by illegal weapons manufacturers in Judea and Samaria to make Carl Gustav sub-machine guns.